The sparkle of youth is in your eyes. This supercharged treatment now with 10X Concentrated Repair Technology helps repair the visible impact of lack of sleep, UV, pollution, and even blue light. It's proven to reveal a bright, hydrated, visibly revived look with comprehensive benefits for the eye area. Winner of Glamour magazine's '2019 Beauty Award' for Best Eye Cream. Dramatically reduces the look of every key sign of eye aging, including puffiness, lines and dryness. PREVENTS free radical damage with 8 hour antioxidant power part of our multi action antipollution defense technology. 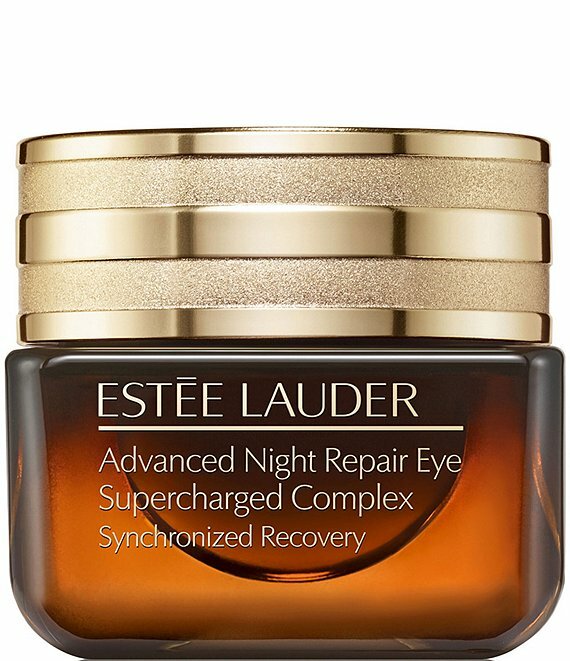 Includes Estee Lauder's exclusive ChronoluxCB™ to help promote skins natural repair process, which is vital for eyes that look younger, renewed and recharged. The lightweight GelCreme texture absorbs quickly, leaves skin feeling soft and silky.